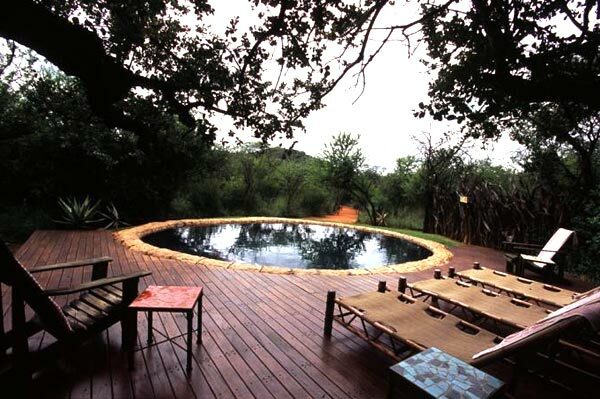 Jaci's Tree Lodge is secluded among the canopy of trees set on the edge of the Groot Marico River that runs adjacent to the eastern boundary of Madikwe Game Reserve. As its name suggests, this spectacular five-start Lodge floats high above the forest floor on a structure of elevated wooden stilts, interconnected walkways, and decks built to merge harmoniously with the pristine natural environment. This makes for first-class bird watching and offers visitors a unique vantage on the resident wildlife that favour the surrounding riverine woodlands. However, due to its design, Jaci’s Tree Lodge doesn’t allow small children, but kids aged 13 years and older are welcome. 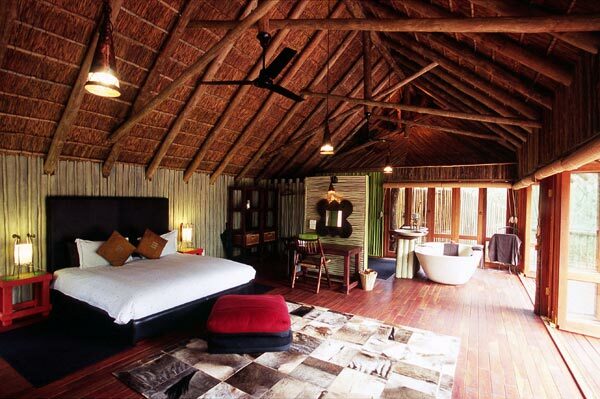 Jaci’s Tree Lodge provides visitors with a choice of eight double-sleeper Treehouse Suites, custom-built from gum poles and African rosewood and beautifully decorated in Jaci’s trademark vivid colours and decidedly Afro-centric furniture and finishes, offering a feast for the senses. 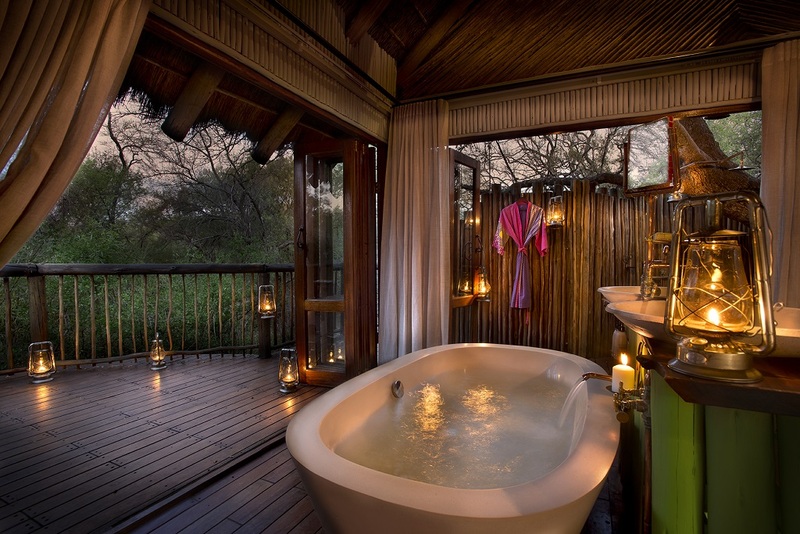 Each Treehouse Suite boasts a king-sized bed, cosy sitting area, generous stone bath, and outdoor shower with folding glass doors that open onto an expansive viewing deck. A ceiling fan and air conditioning ensure you stay cool and comfortable no matter in which season you plan your stay. Plus, the services of a dedicated chef are at your disposal for the duration of your visit. 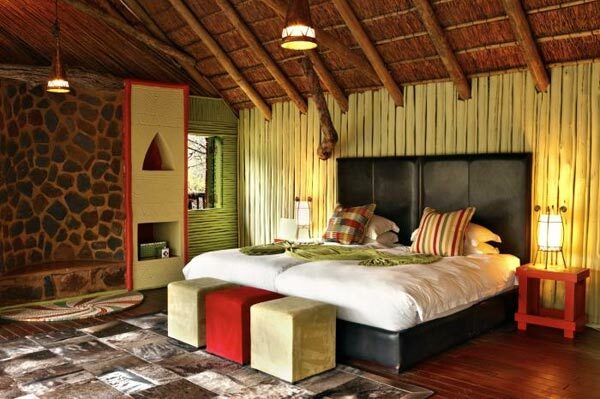 The main visitor hub at Jaci’s Tree Lodge is the heart of this inviting bushveld hideaway. 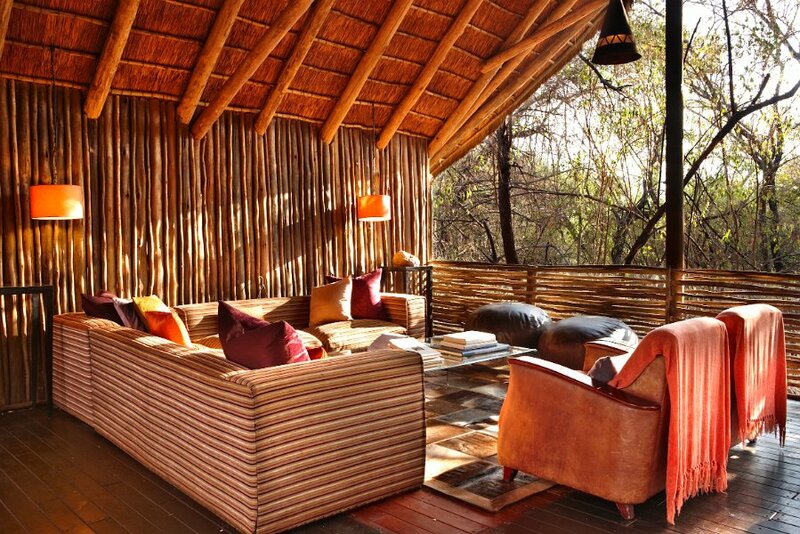 With its eclectic Afro-centric décor and emphasis on tranquility, the main lodge provides a welcome respite from the heat on summer days and a warm fireside sanctuary during the chilly winter months. The fully stocked bar is the ideal spot to celebrate another glorious day in this Eden with a refreshing sundowner drink. And if you’re looking for a keepsake of your treetop safari breakaway, feel why not take a wander through the curio shop. Come mealtimes, partake of the delightfully wholesome cuisine for which Jaci's chefs are renowned. 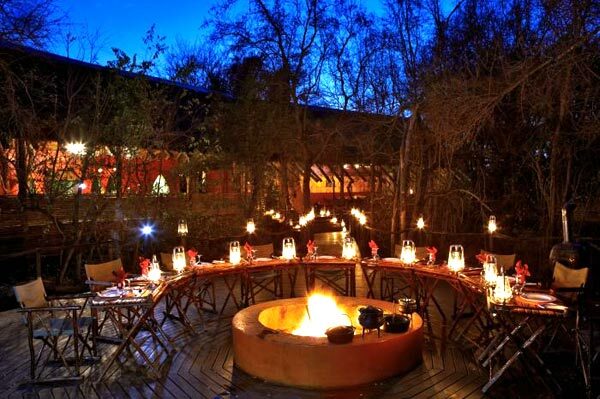 And because Jaci’s Tree Lodge is famed for its fireside starlit dining, evening meals are typically served in the outdoor Boma under the open night skies, weather permitting. Brunches and high teas are served directly from the open-plan kitchen in the indoor dining area. 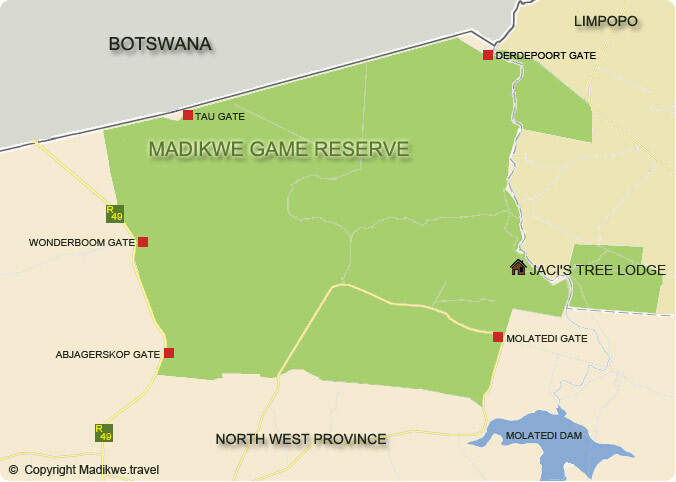 A trip to Jaci’s Tree Lodge means no shortage of thrilling opportunities to explore the diverse fauna and flora that call Madikwe Game Reserve home. These include sunrise and sunset game drives, and night drives for those visitors with a passion for stargazing plus guided walking trails accompanied by the Lodge’s professional rangers. For a more intimate encounter with the local fauna and flora be sure to visit the submerged Terrapin Hide which can be accessed 24/7. 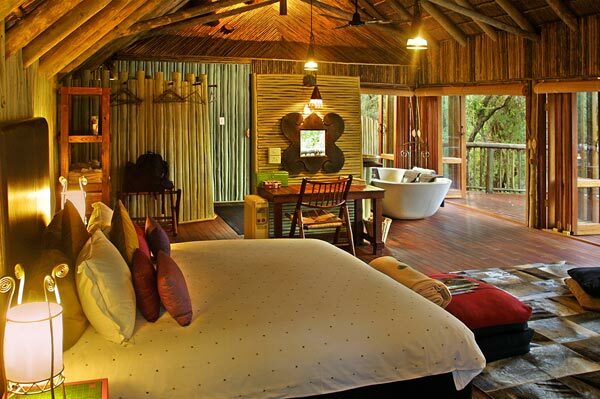 Budding photographers will be pleased to learn that Jaci’s Tree Lodge has premium quality camera equipment for hire. 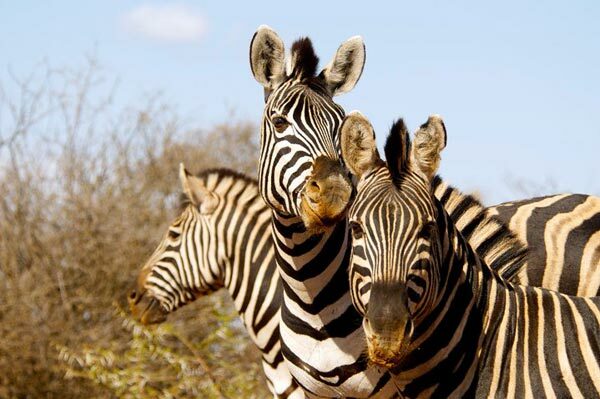 For ardent wildlife enthusiasts, there are specialised safari options available on request, namely birding, photographic, and conservation safaris, all led by experts in their chosen field. 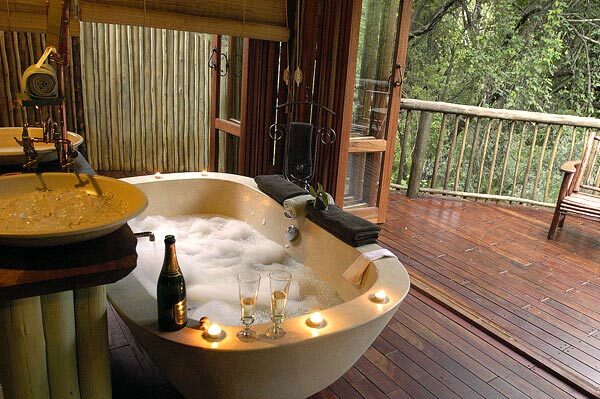 For an unforgettable bushveld experience, request a romantic overnight retreat in the four-poster starbed above the small hide overlooking the wetland area and watering hole a short distance from the main lodge. When it comes to spending some time unwinding, the poolside loungers are the perfect place to while away another idyllic afternoon. Alternatively, work up a sweat with a workout in the mini on-site gym. Or spoil yourself a range of indulgent treatments – from full body to Indian head, back and shoulder, and foot massages – at the Masala Spa. And if you’re looking for an exceptional venue for your nuptials, to host an engagement party, renew your marriage vows or celebrate your anniversary, the dedicated staff at Jaci's Tree Lodge will ensure that your special day is everything you imagined. The spacious open-plan main building at Jaci's Tree Lodge includes a magnificent bar and lounge area separate from the dining area by a 4 sided open fireplace. Enjoy sundowners whilst on safari or at the hide overlooking the waterhole, alternativly listen to the sounds of the bush, or curl up with a good book by the fireplace or in the breakaway lounge.